Most people who pick Australia as their vacation destination don’t even know that they are missing a whole world of excitement by not visiting Tasmania. So, don’t be one of these amateur tourists and make sure to put Tassie on your travel checklist. Here’s why visiting this southern state is a must. 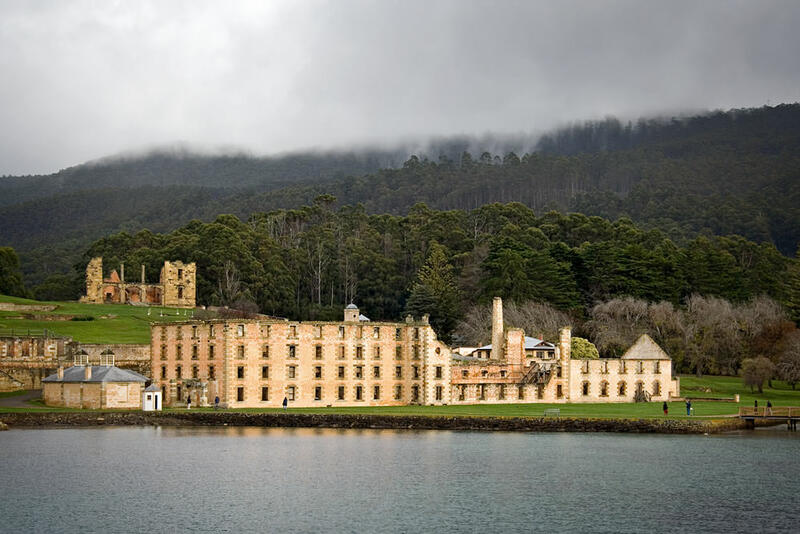 There’s no place like Port Arthur, so you must visit it during your Tasmanian trip. This unique convict site will show you a glimpse of the olden times with its restored buildings, asylums and prisons. Together with your admission ticket, you get a short cruise around the Isle of the Dead! If that menacing name sparked your interest, you might also want to book a guided Ghost Tour, which will send shivers down your spine. Surely, Hobart, the capital of Tasmania, will be one of the first stops at your Tasmanian adventure. Almost all Tasmanian cruises from Sydney make a whole-day stop in Hobart, which gives you plenty of time to explore this vibrant city. Make sure to visit Salamanca Market and shop for fresh produce, second-hand clothes, antiques and souvenirs. And, if you find yourself in Hobart on Friday, you simply must try to fast throughout the day, and feast in the evening at the Street Eats in Franklin Square. From 4 to 9 PM the whole square is filled with food trucks, stalls and drink stands! While you’re enjoying your day in Hobart, you can set some time aside to get cultured and inspired. Take a short ferry ride from the harbor and visit the Museum of Old & New Art (MONA for short) and get the chance to see some of the most controversial and challenging pieces of modern art. You might not like or understand everything you see, but you’ll definitely enjoy debating over the meaning of the pieces and subjects behind them. It’s really a unique art experience. Most people think Australia and Tasmania are always sunny. Mostly they are, but there are periods of cold, rain and even snow when outdoor activities are a bit limited! That’s why Tasmanians know plenty about pubs, bars, restaurants and indoor fun. So, when you get tired of exploring, find a seat at a local pub, enjoy a hearty meal and revitalize with a pint of beer or a glass of wine! This is the best way to meet locals, try local food and get warm during the winter. If you’re staying in Tasmania for over a week, you can embark on a real adventure that will test your endurance and reward you with amazing views and experiences if you persevere. 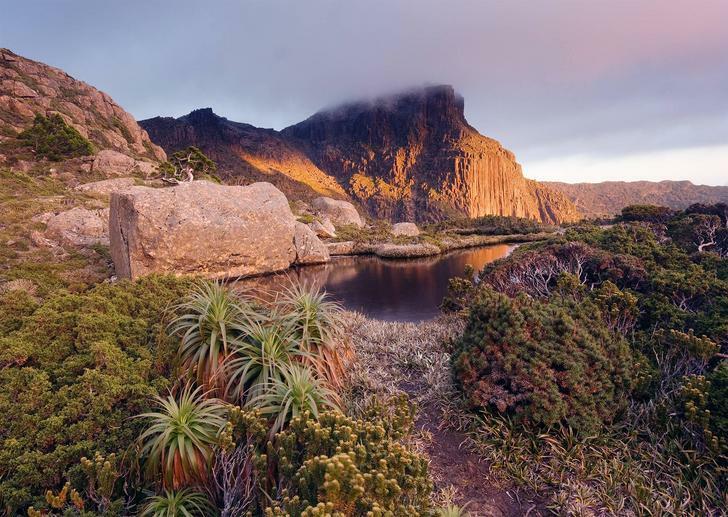 Your bushwalk will take you on a 65km adventure from Cradle Valley to Lake St Clair over Tasmania’s peaks, eucalyptus forests and flower-covered fields. The so-called Overland Track is best hiked in summer, when the nature is in bloom and the weather is pleasant. Only experienced hikers should tackle this track in winter, so keep that in mind! Sure, you can book a bus tour to explore Tasmania, but driving yourself is a much better experience. Plus, you only need about 3 hours to drive from one end to another, so it’s not an exhausting drive either! Most roads are very well maintained and traffic is pretty slow, so you’ll find it really relaxing to drive in Tasmania. The best thing is that you’ll get to be your own boss, make as many stops as you like and see everything that catches your eye. So, put Tasmania on your travel map right now! Don’t miss a chance to experience some Tasmania-only adventures, tours and excitements that will leave you breathless!